ERA Environmental Management Solutions has won the Accolades 2012 Award in the field of Sustainable Development by the Montreal West Island Chamber of Commerce. Congratulations go out to the entire ERA team! The Accolades Awards recognizes businesses and non-profits that have achieved excellence in a number of fields, including manufacturing, innovation, technology, and sustainable development. Accolades judges were definitely impressed during their tour of ERA's offices, particularly with the cutting-edge technology and data-security measures being implemented by the team. 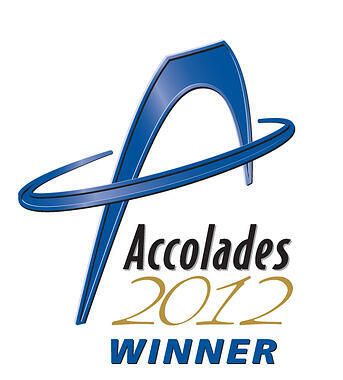 Chief Technical Officer Sarah Sajedi accepted the award at the June Accolades Gala event held in Montreal. She spoke about the growing importance of sustainability in the automotive industry, and ERA's continuing mission to provide the very best environmental management tools. Congratulations definitely go out to all the other nominees and other 2012 winners!